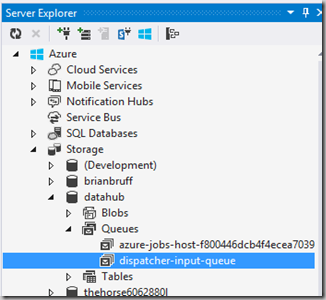 If you've seen my previous post then this post is quite similar, this time however I write to an Azure Queue and not to a blob. 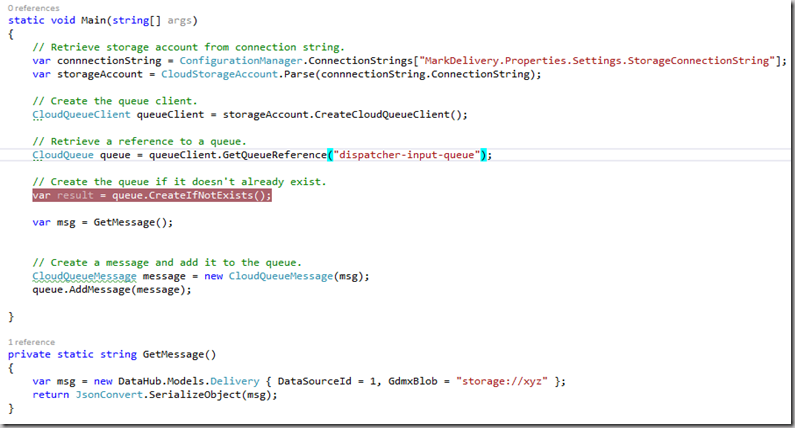 Creating the queue if it doesn't exist (remember you’ll get a bad request if you don’t name the queue correctly!). 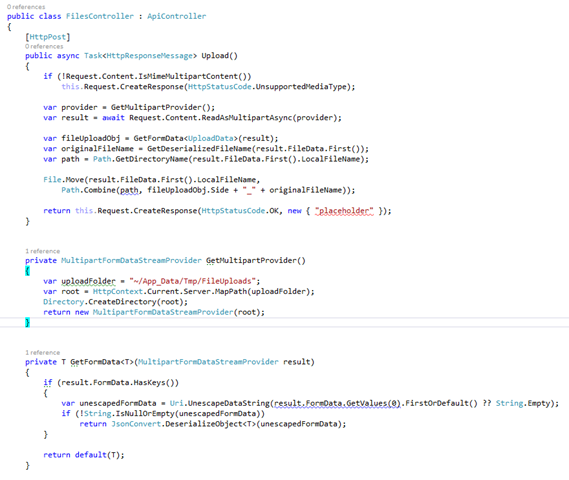 Then I create a simple message, I’m using an POCO object from another project and serializing it to JSON. 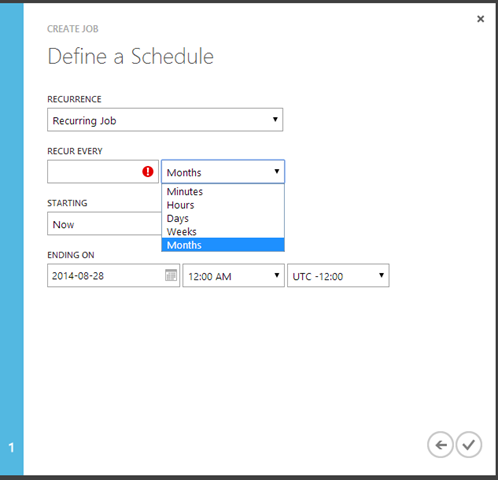 Lets use VS2013 U3 to check! Above you see the message added to the queue, you can see how many times it was de-queued and when it’s set to expire, If we use a competing consumer pattern that count may be more than 1! Tonight I’m going to follow up on my previous post where I promised to show you how to react on somone/something uploading a Blob. 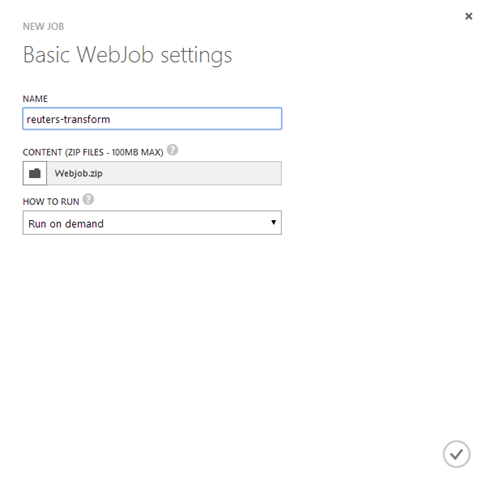 Please read http://azure.microsoft.com/blog/2014/06/18/announcing-the-0-3-0-beta-preview-of-microsoft-azure-webjobs-sdk/ as there is a lot of old information lying about on the web regarding v0-2-0 which will not work in v0-3-0, I’m not ashamed to say it’s now the early hours of the morning before I’ve finally managed to get this working as most of the documentation I was reading was v0-2-0. 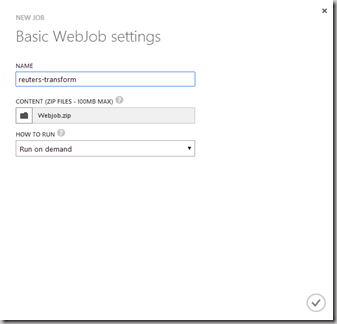 Let’s get started by creating a console application. 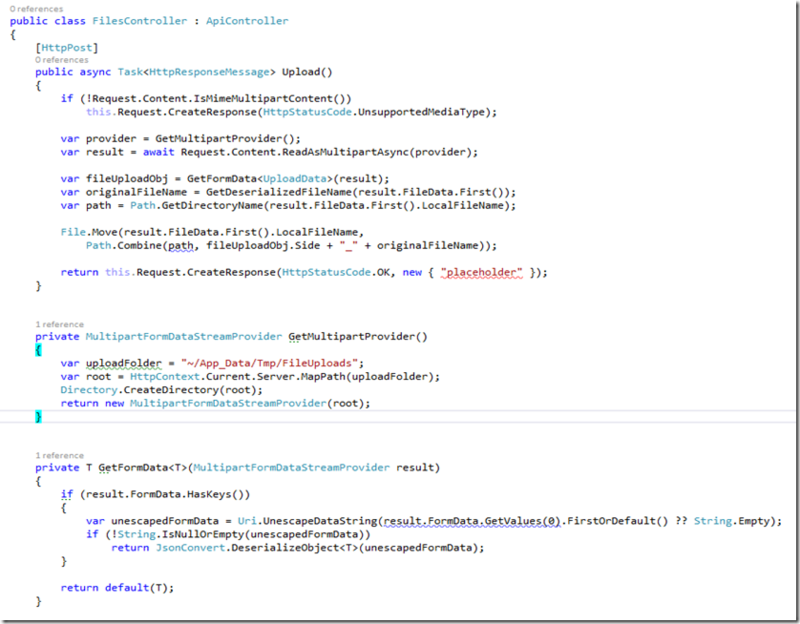 In this code you can see that I’m just appending worked… to the input file, the important parts to consider are the BlobTrigger and Blob attributes, the trigger is the item that will start to process when a blobupdates on the reuters-input container, the BlobAttribute is the output and the reuters-gdmx is the identified container for same. 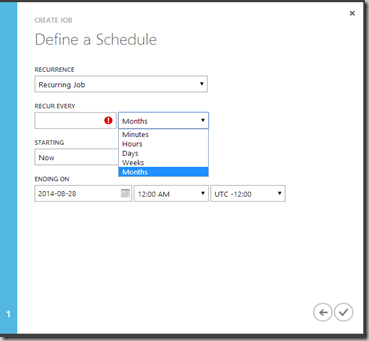 There are a few options with the job, schedule/on demand/continuous..
For the automatic trigger I’m setting the job to be On Demand, however I know in the current version of webjobs, that ondemand for blobs are polled every 10 minutes (I hope can be more real-time once WebJobs exit preview). 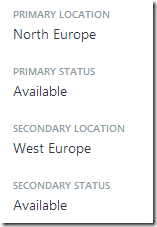 You need to add two connections string to your blob storage account (get the connection string with visual studio Azure explorer), I’ve set both to the same storage account. The last two are from v0-3-0. In the picture above you see a storage account in Azure, in the storage account we have an ecbfx (European Central Bank FX Rates) container. 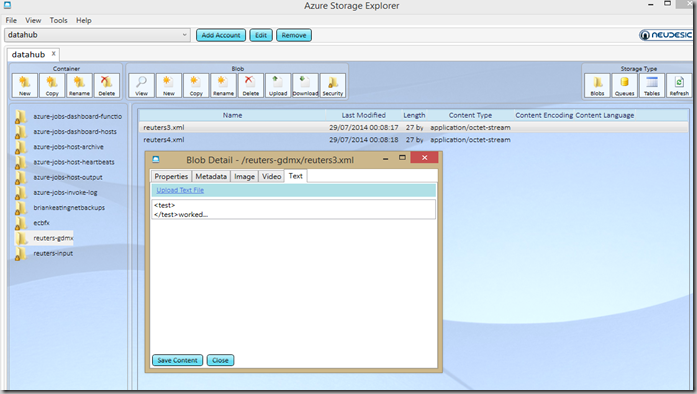 Now let’s see how to upload some data to this container using a C# console application. 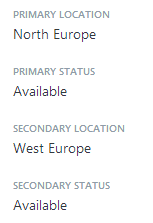 The code above connects to the pre-created container, notice that my container has built in Geo Redundancy (primary storage in Dublin, secondary in the Amsterdam) so after running there will be 6 copies of this blob, 3 in Dublin and 3 in Amsterdam, this is the storage package I’ve chosen. 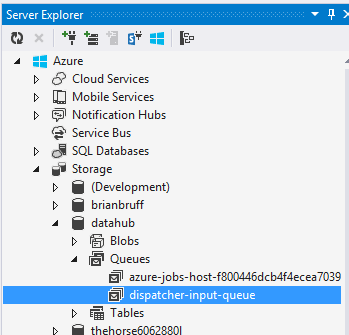 The easiest way to view the newly uploaded blob is to use the Windows Azure server explorer in Visual Studio, it’s the easiest way of getting the connection string to the storage account also. In the next post I’m going to show you how react to someone uploading a Blob with an automatic trigger. But if you are stuck on 1-2mbps ADSL and have a bit of time on your hands then its possible to get +20mbps broadband. I achieved this by load balancing a fixed wireless connection of 8mbps with a HSPDA 12+mbps connection. The HSPDA connection took most of the work and involved installing a fixed external yagi antenna for starters.. So far so good! PM me for more details. 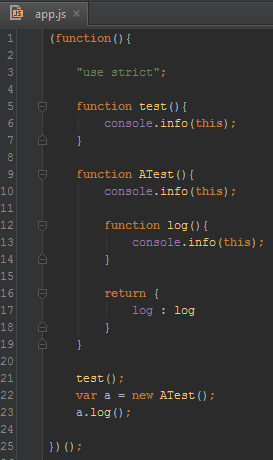 The code above logs this three times, but what is this? The main source of confusion is a quirk of the language where depending on the invocation pattern this can be set to the global variable (e.g. window in a browser). But there are come other gotchas. In the example above this is 3 different objects. 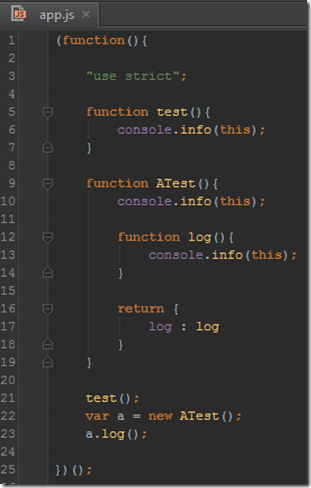 In the function invocation pattern this is the enclosing type also, however this is just object in this case i.e. the object literal returned from ATest constructor. I’m not covering this here but the Apply (and the call) invocation patterns basically let you set the value of this. Note: Object Literal can be avoided in this example above as follows. What we do is set the methods on this explicitly. 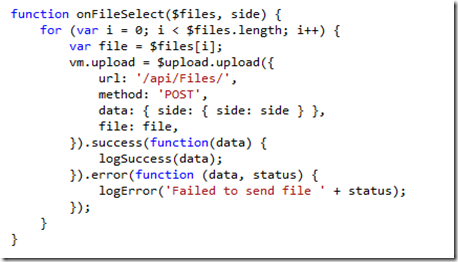 In this post I’m going to show you how to upload a file using Angular.js on the client side and Asp WebApi on the back end. 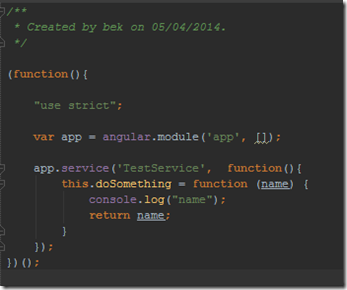 Create you project in visual studio, and add your angular.js app controllers etc. 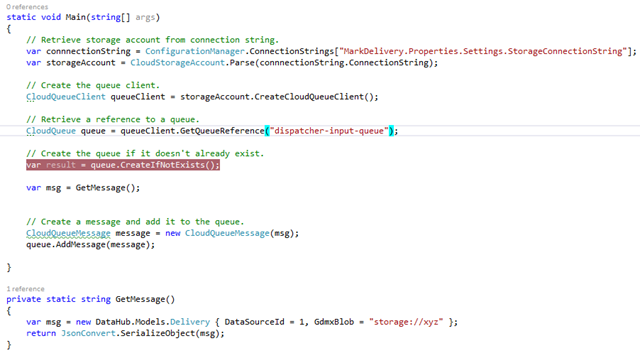 Interestingly enough I’ve already shown you how to do the server side over 2 years ago! Crikey 2 years and I’m still writing about the same old stuff….. well not really, last time it was knockout, sliverlight and the likes, now it’s Angular.js’ turn. 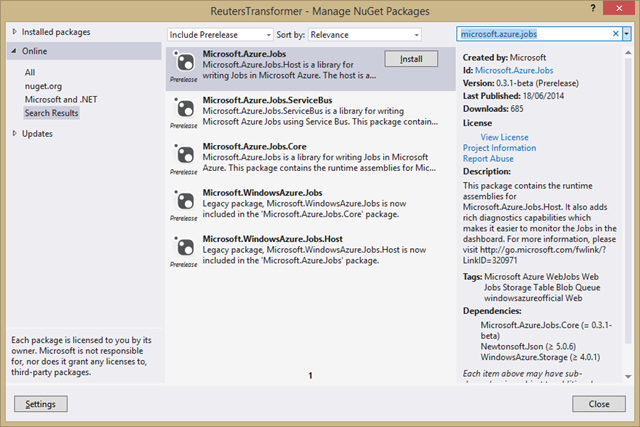 In order to facilitate the process, we’re going to use a nuget package I like, see screenshot. 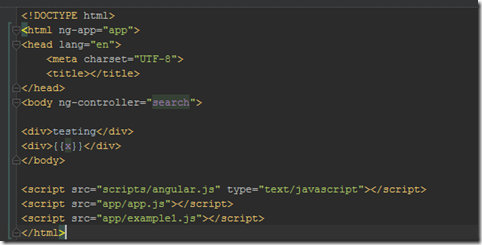 To use this package you’ll need to include 2 scripts, file-upload-shim before angular.js and file-upload after. Here I enumerate the files (should i wish to have multi select) then I upload each one by posting to my Web Api .net controller, I pass a little more information also as to the diff side, but that’s pretty much it. Now even though I did show you the .net code before I’m going to show it again now, because as I mentioned I’m passing a little information as to the side the file I’m uploading represents. I’ve gotten a few emails from last night’s post asking me why I’ve gone black (and will i go back? ),, well you know what they say! 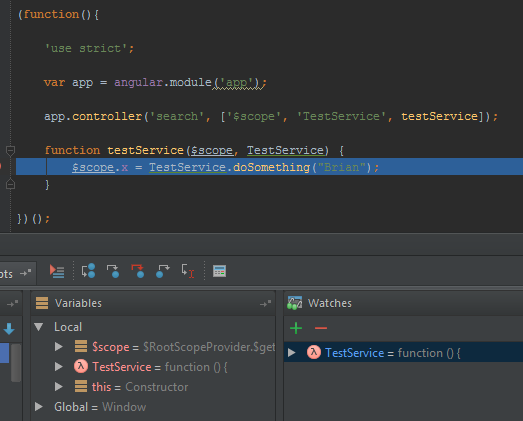 Btw: I’ve Visual Studio, IntelliJ and WebsStorm on black/dracula themes at the moment and a week on I’m kinda sold, the only big downside is when I switch to another app when in dark light (in bed for example) I hurt my eyes as they adjust. Some people asked about the IDE as it wasn’t visual studio (nope, I’ve not written java in VS yet ;-) ) so I thought it would be interesting to share what tools and IDE’s I use. 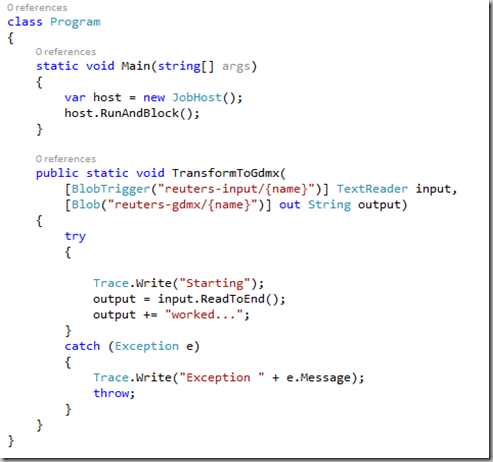 Visual Studio 2013 this is my favourite IDE, I’ve been using VS since the mid 90ies, mostly these days I use VS for C#, ASP, UML, Testing, Azure, most of my pet projects are Azure based. InetlliJ : I took me a while when I started learning Java to settle on IntelliJ, I went back and forth between that and eclipse for a while until I understood java and it’s eco system enough to set up my own projects. IntelliJ is just fantastic and the tooling is great (ideal for MSofties) and there is a certain degree of familiarity as Jetbrains the company behind is the company behind Resharper. WebStorm: This is another Ide from Jetbrains (they have a few good IDE’s js,java,php,objective-c, python etc, check them out), I use this mostly for non ASP web stuff (where I naturally use VS), it’s quite good. XCode: I’ve created a few iPhone app’s, I hit the curve learned objective-C and the libraries enough to get a few apps in the store and XCode was the vehicle, I’ve not used AppCode from jetbrains but I bet it’s good! The truth is I’ve not used XCode in about a year now I guess, the reason is that I’ve moved to Android myself and don’t have a iPhone any longer (and at least for the foreseeable future) so I’m not motivated enough to do any iOS coding on my free time. Total Commander by Ghisler.com, I’ve been using this since 2001, I was previously using norton commander but when I changed company I no longer had access to that software so I found my beloved TotalCommander, this is without doubt one of the major reasons I prefer windows. (I must get off my bum and find a corresponding program for Mac as Finder is dreadful IMO. Stylus studio: great for formatting xml and editing xml in tree and grid formats, generating xsd, debugging xlst etc, nice xpath support. 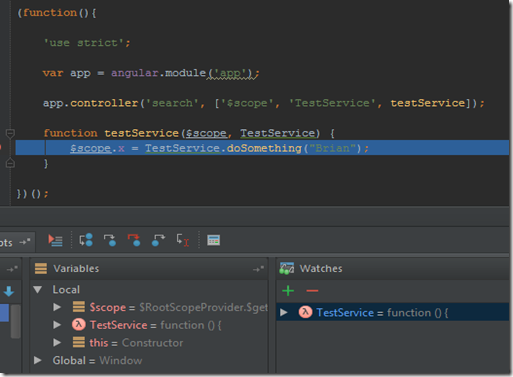 You won’t believe the amount on questions I’ve come across regarding the confusion between angular services factories and providers. This blog post attempts to help clarify same and get you started. Factory* if you don’t know this this is a good place to start. I’m not going to cover providers here so lets see the difference between services and factories. 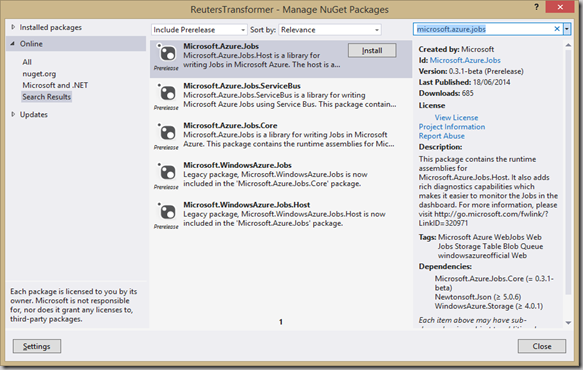 Service gets passed a function that’s considered to be a constructor, so you get back a new-ed constructor. 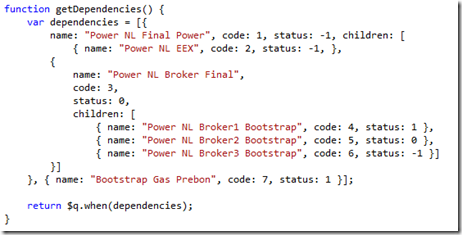 Factory gets passed a function which it invokes and returns the result. 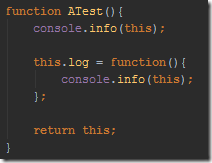 A service is often used when you have 3rd party constructor function and want to use this. First lets show the view in all it’s glory, it’s quite simple just will display whatever x is. What’s the difference? Well in this instance we are returning something! 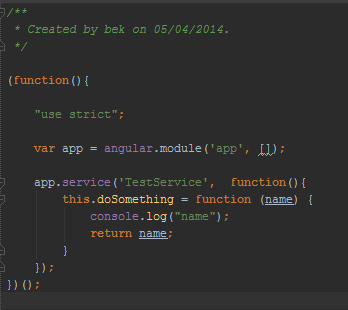 Angular will call new on the returned object and return it. Show me a reason to prefer one over the other? 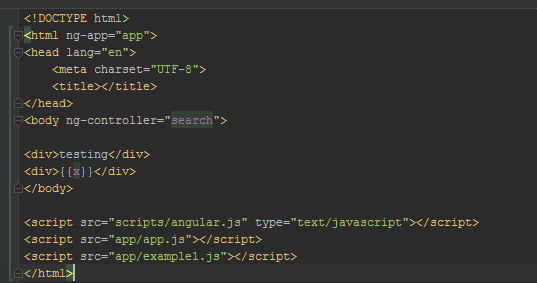 Well lets say we want to pass some information to the service or factory, well given we have no control over angular creating our service we cannot pass any additional information! it just creates the function. 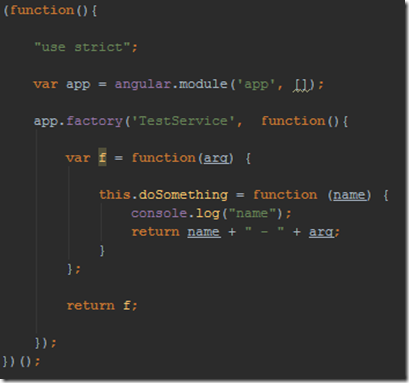 So now if we don’t change our controller we have a problem, because angular has just created f for us! 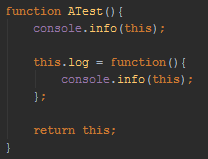 Let’s see this in a debugger, we can clearly see that TestService is not an object but rather a function. Now we need to modify our code to work, let’s do that. So hopefully that’s helped you a little understand the difference. 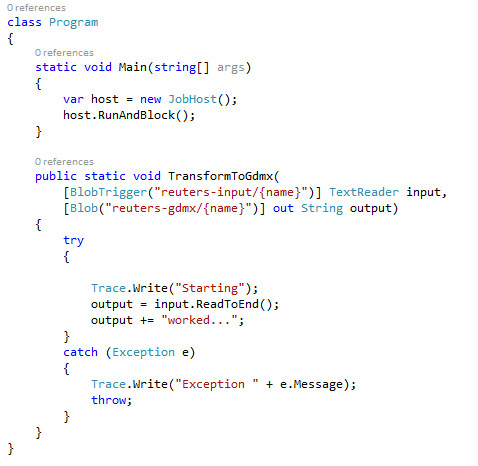 as you can see I've got the basic REST HTTP verbs, GET,POST,PUT,DELETE, it’s done in Java, but could just as well be in .NET, node, php etc, it doesn’t matter, the basic premise of REST is that it just used what HTTP already gives us. The important thing to notice is that we are returning something from our function, and we are passing parameters, therefore we cannot use a service in this scenario. I hope this has clarified this situation for you, if so please drop me a line and let me know and I might cover providers also. (comments are disabled until i get a better recapcha for all this spam I get when enabled). Another day, another post with me talking about something I barely know about. 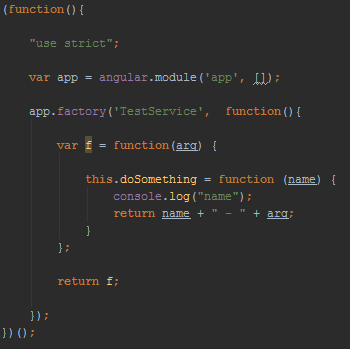 Today I’m going to show you my first second stab at a recursive Angular.js directive. Basically we have a list of objects in the dependency tree, each of these in turn can contain a list of children. It’s pretty simple, each dependency can have children that are in fact themselves the very same object literal types. 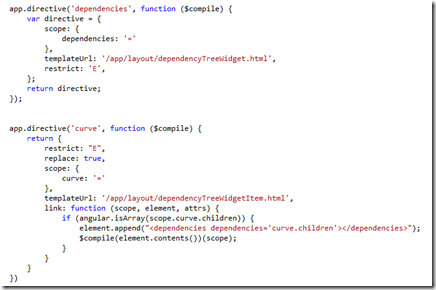 I created two directives, one for the dependency and one for it’s children. As seen from the screen clipping the directives are pretty simple, however I’d like to draw your attentions to the link function of the curve directive. 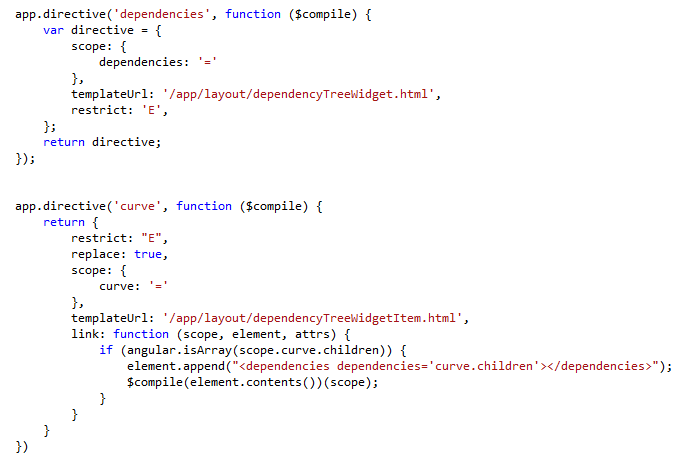 The reason I had to do this is because on my first attempt I tried to just call the <dependencies in the template itself with an angular ng-if, however angular.js just kept going into an infinite loop, so I added the children <ul> on the fly and $compiled them in (note: $compile is injected). The templates for these widgets are pretty trivial (i could have in-lined with “template” but choose to use templateUrl as I much prefer this approach. 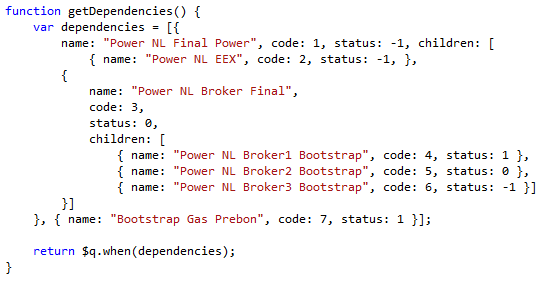 This template just creates a <ul> and then calls the other directive that creates the <li> entries. This template shows the <li> entries, remember that I $compile in any children in the directive, it also adds a good or bad class if necessary for styling. 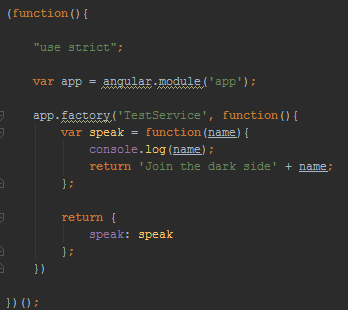 I hope this helps someone should they also encounter the same problem I did with the infinite loop, I’m definitely not saying what is presented above is best practise as I’m relatively new to angular.js after hanging up my knockout.js belt (it was good while it lasted but angular is much more in line what what I need for SPA apps).